Trying personal injury cases in the general district court has become more attractive and fun over the past five years thanks to two significant changes fought for by the Virginia Trial Lawyers Association. Both changes eliminated a lot of plaintiff’s attorneys’ anxiety with respect to where to file suit on the smaller valued personal injury case… especially those cases involving soft tissue injuries and minimal property damage. Under the old jurisdictional limit, one may have had cases that were worth slightly more than $15,000.00, but it did not make sense to file suit in circuit court given the time and expense factors associated with that venue. General district court is a helpful alternative. It allows these cases to be conducted in a forum that is less expensive… faster… and less risky than circuit court. This article is designed to give the personal injury trial lawyer a brief overview of general district court, the process and the many advantages it has to offer. Part 7A of the Rules of the Supreme Court of Virginia applies to all proceedings in general district court. Part 7B applies to all civil cases. 8 The rules are fairly short, straightforward and attorneys should familiarize themselves with these rules prior to filing suit. It is also important to keep in mind that most courts also have local rules, 9 so attorneys should check with the local clerk’s office where they intend to file. Before filing in general district court, attorneys should make sure the client is aware of all the differences between general district court and circuit court before making the final decision of where to file. Specifically, attorneys should make sure clients are aware of not only the general district court’s jurisdictional limit of $25,000.00, but also the right of either party to appeal. Once the client has selected the general district court path … it is time to prepare a Warrant in Debt. Most civil actions in a general district court are brought by a Warrant in Debt. 10 The Warrant in Debt is an easy form to obtain (online at www.courts.state.va.us or from a local clerk’s office) and to “fill in the blanks”. Of course, one can also file a typical motion for judgment 11 if the particular facts require a more detailed method of pleading, but the Warrant in Debt is usually much more streamlined. It is also easier for the Judge as the warrant provides a section to make the award and enter judgment. Attorneys should also check with the clerk’s office to see if the court requires an affidavit regarding defendant’s military status to be filed along with the original warrant or pleading. Virginia Code §8.01-15.2 requires a plaintiff to file this affidavit prior to entry of a default judgment to insure compliance with the Federal Service Members Civil Relief Act. 13 The plaintiff must state whether or not the defendant is in the military, or state that the plaintiff is unable to determine the defendant’s military status. The best practice is to always file this affidavit with the initial filing. For the technically advanced lawyer, see Virginia Code §16.1-79.1 which governs the electronic filing of civil cases in general district court. Service of process requirements for the general district court are the same as for circuit court and are governed by Virginia Code §8.01-285, et seq.. It may be made by the local sheriff or a disinterested person over 18 years of age (i.e. a private process server). 14 The manner of serving process upon natural persons include: (1) personal service or (2) substituted service (i.e. family member/resident relative who is at least 16 years old, or valid posted service). 15 Note that if service has been made by posting, a default judgment can only be entered after a certificate is filed with the court that the warrant was mailed to the defendant no less than 10 days before entry of the judgment. 16 In the general district court, mailing a copy of the warrant to the defendant when it is initially filed will satisfy this requirement. 17 All general district court forms have a place on the back to certify mailing to the defendant which is a wise choice with every initial filing. Attorneys might also consider providing a copy of the warrant to the adjuster handling the claim. Attorneys should always check with the individual clerk’s office or website (via www.courts.state.va.us) to determine the schedule of return dates. The first return cannot exceed 60 days from the date of service. 23 When filling out the warrant, it is smart to always select an available return date at least a month away, if not more, to allow time for service. Again, you must have obtained service at least 5 days before the return date. The judge may require the plaintiff to file/serve a written bill of particulars and the defendant to file/serve a written grounds of defense within the periods of time specified in the order. 24 The bill of particulars will be due first and that will be followed by the grounds of defense. It is usually a good idea to request pleadings in order to determine what, if any, defenses are being asserted. The bill of particulars should typically look like a complaint filed in circuit court. Failure to comply with the requirement of filing pleadings may result in the Court granting summary judgment. It may be a good idea to refrain from making that motion until trial. If a party makes it any earlier, the court will probably allow the late filing especially if there is no prejudice. Typically, when the defendant does not appear at the return, the court will continue the case to allow the plaintiff to bring evidence regarding proof of damages or to allow for the 10 day notice requirement if service was by posting. Welcome to the wild west as discovery is very limited in the general district court. There are no provisions for interrogatories, requests for production of documents, request for admissions or depositions. A subpoena duces tecum may be issued by the clerk, or by an attorney, pursuant to the terms of Rule 4:9 of the Rules of the Supreme Court of Virginia. 28 The subpoena may be issued to a party as well as to a non-party, and served accordingly at least 15 days prior to the trial. 29 When an attorney does issue a subpoena duces tecum in the general district court, it is typically to an insurance adjuster to obtain a client’s statement and/or property damage photographs. Attorneys can also request a witness subpoena which must be filed at least 10 days before trial. 30 As a practical matter, witness subpoenas should be requested well in advance of the 10 day requirement to allow sufficient time to obtain and verify proper service. Another advantage of being in general district court is that one can usually obtain a trial date within a couple of months after the return date, as opposed to a year or more in circuit court. The defense counsel will usually obtain a court reporter to transcribe the trial, in the event of an appeal, but sometimes they do not. Any party, or counsel, may tape record the proceedings. 31 Remember, general district court is a court not of record. The hallmark characteristics of trying a case in general district court is brevity – “short, sweet, and to the point.” Of course, there is no jury in general district court and the judge hearing your case will typically have a full docket with other trials and matters after yours. Therefore, one should always try to reach stipulations, i.e. admitted liability, with defense counsel to expedite the trial process. It is a good idea to take the opportunity to present an opening statement in order to introduce/humanize one’s client to the judge and to highlight the main issues. However, again, the opening, as well as the presentation of the evidence, and closing should be brief. Attorney’s should be prepared as if it were a circuit court jury trial, but be prepared to be brief. A case involving admitted liability and soft tissue injuries should be tried in an hour or less. Copies of hospital records or other medical facility records or bills shall be admitted if it is accompanied by a sworn statement of the custodian that the copies are true and accurate. 35 The 2013 Virginia General Assembly amended §16.1-88.2 to basically rewrite for clarity the section setting forth the method for introducing medical records or reports into evidence. Senate Bill 982 provides that medical bills may be introduced into evidence in the same manner as medical records. SB-982 also provides that medical records and bills are subject to the same requirement as medical reports that the party intending to present such records and bills as evidence give notice to the opposing party at least 10 days prior to trial. This clarification amendment will take effect July 1, 2013. It should be noted that §16.1-88.2 distinguishes between reports of a treating or examining health care provider and records/bills of a hospital/other medical facilities. Typically, it is the records of a plaintiff’s treating physician, not reports, that are introduced into evidence. It is unlikely that a defense lawyer would object to records of a treating physician being introduced without a report. However, an attorney should include in the treating physician’s affidavit elements i-iii above as well as a statement that the physician is a custodian of the records which are true and accurate. This allows the attorney to argue that the treating physician’s records are admissible under any scenario in 16.1-88.2. It would also be smart to check with defense counsel prior to trial to determine if they have any objection to your affidavits. The treatment set out in the attached reports and exhibits were provided to ______ for the injuries she sustained in the collision, and, to a reasonable degree of medical probability, were reasonable, appropriate, medically necessary and a direct result of the collision. The referral for physical therapy was also medically necessary, reasonable, appropriate and a direct result of the collision. On some occasions, one might consider attaching a statement of damages as an exhibit to the doctor’s affidavit and include a paragraph that states the treatment as outlined on the attached statement of damages was medical necessary, reasonable, appropriate and a direct result of the collision. However, attorneys should be prepared for the defense to object on the basis that §16.1-88.2 does not allow this additional language and therefore the offending affidavit should be excluded. One response is that nowhere in §16.1-88.2 does it limit language to be included in the affidavit. To the contrary, the statue only provides what must be included, not what must not be included. One can also argue to the judge that you do not “throw the baby out with the bath water” and he/she could simply strike out the additional language. This additional language can be very persuasive in making your case to the general district court judge or, if the case is appealed, to a jury. Hopefully, causation is evident from the medical records. If it is not, one may want to have a doctor prepare an opinion letter and make it a part of the patients medical chart/records and thus admissible under §16.1-88.2. In lieu of an affidavit, the medical provider can also sign an affirmation. An affirmation is a formal declaration that a statement is true. §8.01-4.3 provides that if a matter in a judicial proceeding is permitted to be established by a sworn statement or affidavit, then such matter may, with the same force and effect, be established by an unsworn statement which contains the following language “I declare (or certify, verify or state) under penalty of perjury that the foregoing is true and correct”. 36 The doctor’s affirmation will look just like the typical doctor’s affidavit with the exception of the above language instead of having it notarized. One advantage to using an affirmation is that it eliminates the need for the busy doctor to find a notary. Affidavits, with the medical records/billing, must be provided to defense counsel at least 10 days prior to trial along with written notice of your intention to use them at trial. 37 As a practical matter, it is a good idea to file the affidavits with the court and provide copies to defense counsel well in advance of that 10 day deadline. Allow plenty of time to get the signed affidavit back from the doctor and give him/her a specific deadline on when the executed document is needed back. Send a letter to the doctor with the affidavit and explain that by signing the affidavit they can avoid the necessity of having to testify at trial. At trial, attorneys may move into evidence those affidavits that were previously filed with the court. It may also be a good idea to bring an extra copy of the signed affidavits to trial. It would be a rare general district court case where defense counsel presents any medical evidence of their own. They certainly argue about causation or the reasonableness of the expenses but rarely do they present any evidence. The only evidence that is typically presented in an admitted liability case will come from the affidavits and the plaintiff’s testimony. However, §16.1-88.2 does permit either party to use affidavits to introduce medical records of treating health care providers. The defense will sometimes attempt to introduce prior records obtained via a subpoena duces tecum through their own affidavits . . but it is rare. A party does have the right to make a motion for a new trial. The motion must be made within 30 days after the date of judgment, not including the date of entry of such judgment, to the same judge who rendered the judgment. 51 A hearing shall be held no later than 45 days after the date of judgment. 52 A motion for a new trial will not toll the time for noting an appeal. discovery and expensive expert witness fees. – It’s faster… both in securing a trial date and trying the case. – It’s less risky… than facing a conservative/defense oriented jury with a soft injury case. Our firm has always aggressively litigated these cases. While I do not have any official statistics to quote, I find myself filing and trying more cases in the general district court than ever before. The results being obtained are almost always better than the low-ball offers from a cynical adjuster. In my experience, on the appropriate case, the general district court will offer you a forum where you client can get a fair result with a minimum of time and expense. Try it… you’ll like it! 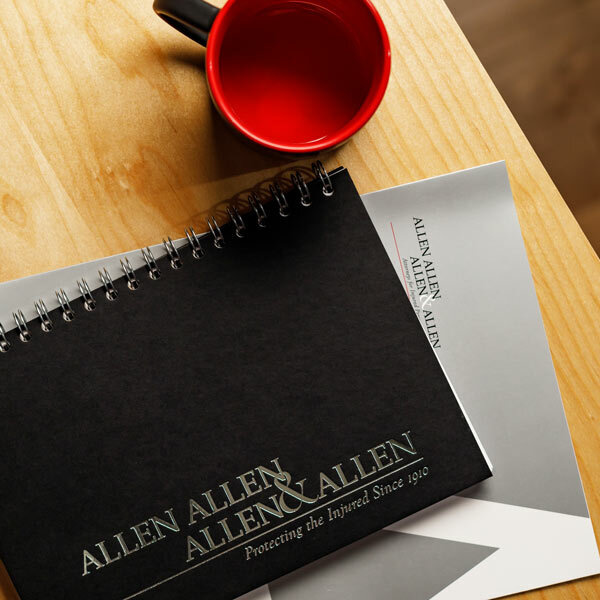 About the Author: David M. Williams, Jr. is a personal injury trial attorney practicing with Allen, Allen, Allen & Allen. In 2004, David was hired by Allen & Allen to work in its Fredericksburg office and he now manages the firm’s Garrisonville/Stafford County office. His legal career has focused almost exclusively on personal injury law and he has litigated a broad range of matters in both state and federal courts. David is licensed to practice law in both Virginia and South Carolina and he is rated AV Preeminent by Martindale-Hubbell. He is a member of the Virginia and South Carolina Bars, American Bar Association, American Association for Justice, Virginia Trial Lawyers Association and the Fredericksburg Area Bar Association where he serves as the current treasurer. Code of Virginia (1950), as amended, §16.1-92 – repealed by Acts 2007, c. 869, c1.2. Code of Virginia (1950), as amended, §8.01-296(2)(b) and Rule 7B:9(b), Rules of the Virginia Supreme Court. Code of Virginia (1950), as amended, §8.01-328.1 et seq.